Upsell(s): $97 for 14 more squeeze pages. While it would be nice if the average person using this system would see horizontal figures with many zeros following a whole number in their bank accounts, this is not typical. If zero earnings from this product were to show in the “Deposits” column, they would certainly show as a vertical line of zeros! Before you purchase the 12 Minute Payday system I highly recommend you read this review, and any links to related content about this product, to get the full picture of what you get based on my research, both in what is purported in the advertising and the product itself. The advertising will be dealt with in a separate review whilst the product being offered will appear here. This product is part of the ClickBetter Affiliate Network, as stated on the official website. In essence, the product is a website with several links to paid programs and tools that aid more advanced Internet marketers in setting up squeeze pages, an autoresponder account, an affiliate account, traffic generators, swipe files, a swap/solo platform, and sundry other services. The instructional part of this product is orderly and well-arranged. Some of the programs offered could be of benefit to a seasoned marketer. All web pages in the Members Area are aesthetic and clean. Most people will not make any income from this product. The sales video says nothing about what this product is or what it does. This is a glorified list of products and services, nothing more than a bunch of upsells. This product is NOT for folks that haven’t had any experience with Internet marketing. 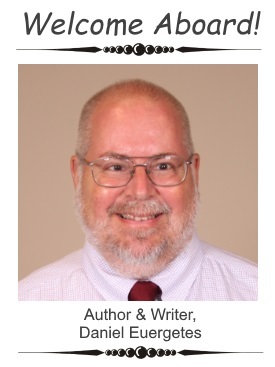 It is not free as plainly stated in print on the sales page. You must purchase other products to make this “business plan” functional. The affiliate network hosting this program is the rogue ClickSure. Products for promotion in ClickSure are inherently rogue and inferior. You are taught and offered tools that encourage rogue marketing practices. You are instructed to set up systems of traffic-getting that are annoying and invasive. Some of the tools and services offered are extremely expensive. All but a couple of these come with price tags on them, some of them pretty hefty, and in spite of the sales video stating that this product was tested by folks who have never made a dime on the Internet, are NOT for folks who have not tried their hand at Internet marketing. The training provided comes in a series of videos (pdf files of this information is also said to be available) which are fairly easy to understand, at least the initial ones dealing with the setting up of the basic needful services in order to make this product functional. The videos are presented in a logical order and should be viewed, the instructions carried out, in this order. The support system is a ticket-based help desk. The reliability of the support for this product is unknown to me and have not used it. This product is said to have a $197 value, but this is struck out with the clause, “FREE 6-Figure Business Plan” following the dollar figure. This product is NOT free. It starts out at $47. If the viewer declines and goes to exit the page, a downsell appears discounting the price to $37. If, once again, the viewer declines, a squeeze page offering the product at $9 appears. There are upsells throughout the entire product, too numerous to include here. They will be briefly discussed below. Here I would like to present the Modules, one-by-one to give you some insight as to what’s included in this product. Shown above is a screenshot of the upper portion of the home page of the Members Area. An overview of the menu found in the sidebar to the left is that, you are presented with a series of training videos which show you how to set up your business, which in my opinion, turns out a campaign not unlike advertising campaigns found in the many rogue products offered to affiliate in the ClickSure Affiliate Network. 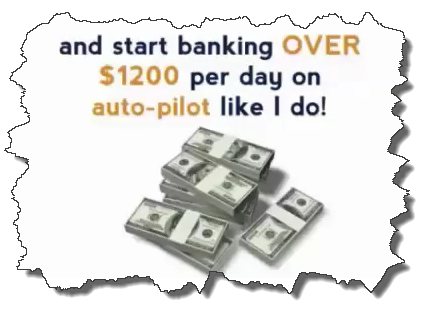 There is no software here that is created exclusively for the 12 Minute Pay Day program. It is merely third-party platforms being offered by the producers of this program, some of which are dubious, others which are a step from being useless and yet others offered to an audience that are way beyond the Internet marketing skills of the folks that comprise it. In this module, you are introduced to the system and shown the already-made set of squeeze page websites available to you. Note that if you’ve joined as a Basic Member, you will only have the first one available to you. Note in the image above the first three from the set of 15 squeeze pages (available to Advanced Members) being offered on the program’s servers. Note that the second and third are in “locked” status as I’ve joined as a Basic Member for the purpose of review. On the second of two links in this module, you encounter the vanguard of a barrage of off-site upsells – the autoresponder service from a suite of web services called, “GVO.” In order to get anywhere with this product, you must purchase an autoresponder, and here, it’s GVO, which rings in at a cost of $1 for a trial, and $9 thereafter. Note that GVO is often associated and used in lieu of another suite of tools known as Pure Leverage. We will briefly discuss this option below. Here we are shown how to set up the autoresponder and introduced to more options, including the ClickSure Affiliate Network, Click.org, Double Email Profits, and Traffic Pool. The final link in this section shows you the system you’ve set up and how it works in real time. Let’s take a brief look at what’s offered here. Screenshots of each program’s logos are shown below, followed by a blurb for each. You need products to promote. Often, first-time affiliate marketers resort to affiliate networks, such as ClickBank and Commission Junction, to find products to promote. ClickSure is also an affiliate network and is highly recommended that you do NOT join nor promote offers from there! In essence, ClickSure harbours those products that would be strictly rejected from the two mentioned above, not to mention others as well, which they consider to be rogue. ClickSure was in fact formed when the better-known affiliate networks sought to clean house of these rogue products and unscrupulous marketeering that was ruining the networks’ reputation. Find out more about ClickSure by visiting my review for this network. It is highly recommended you do so and you will thank me for it! You cannot use the Basic package because it does not include the link rotation feature needed for the system to function correctly, so you would choose one of the other three packages. This service provides link rotation which allows you to offer a variety of promotions in your email campaign. It also offers link cloaking which aids in keeping your messages out of your subscribers’ junk folders. EPC Maximizer is a paid subscription ($20/month) which allows you to promote two (or more) products at once. How this ultimately works is, after correctly set up, you can daisy-chain one promotion after another. What you are REALLY doing here is producing a daisy-chain of annoyances to your list! Think about it (and this is how your list sees it) how would you feel if you wanted out of the web page showing an offer, and upon exiting that page, you are immediately have another offer shoved in front of your face? That’s what happens when you add this insidious program to your campaign! Note that this is indeed, done by equally-insidious marketers who go for the numbers and not relationships! ‘Nuff said, except that this is offered as an option and is not necessary for the functionality of your campaign. Traffic Pool is an onboard service offered by 12 Minute Pay Day, or ClickSure. I’m not sure which offers it, but probably the latter. You MUST have all steps preceding this one completed before you purchase this at the price shown in the banner above. This is the “done-for-you” bit you are told about early on in the lessons. They purchase the traffic sources, which are supposed to be composed of unique viewers, not repeat viewers and is supposed to be quality traffic pooled to all members’ campaigns in the system. You submit affiliate links to this pool via a form field. This is purportedly “one of the benefits of being part of the 12 Minute Pay Day Team. During this step you are encouraged to “go all out” using all “Get Commissions” options below. In this module, you are introduced to more services that are purported to aid in your marketing campaign. As you can probably see by now, things are adding up. It doesn’t stop there. There are three “Get Commissions” links, ordered 1, 2 and 3. This software isn’t free. It has subscriptions options of $29/mo, $33/mo. and $49/mo. I have not delved into the individual packages. This software puts your website on the top of GoogleNews. It also provides a tracking module and traffic-generating software built-in. The argument here is that the normal venues for paid click advertising, such as Google Adwords, Yahoo Advertising Solutions and Microsoft Advertising are too strict, do not perform very well in searches, and are extremely costly. Therefore, we are presented with “CPCBroker” an alternative to the others. Note that the “Basic” package, which is the one recommended in the video, has increased only $3. Here are two more offerings, one of which is the PureLeverage services mentioned above. 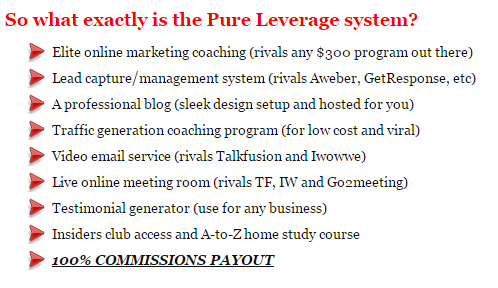 Under the “Increase Income 500%” link (which surely is a gross exaggeration) we are introduced to PureLeverage which offers numerious web services apparently used by many of the high-end Internet marketing gurus out there. This service is not cheap, running $24.95 and $97.95 for the two packages they offer. What is PureLeverage? It is a suite of competitive web services all under one roof. We will let them tell us which services they offer. In spite of the fact that they themselves say that the services are suitable for beginners, there is quite a learning curve involved, though it is doable. The costs incurred are not suitable to folks struggling with making ends meet or just starting out in Internet marketing. You can promote the service, from what I understand to be a multi-level marketing platform. You must be subscribed to any in-house service you wish to promote, else you will NOT get credit for sales. It is known that the blogging platform is inferior and not recommended! Many rogue marketers employ the use of this service when offering blogs in their membership programs, a couple of which I have encountered in other product reviews I’ve done. In brief, this is a click-reciprocating service allowing folks to get together and swap their clicks and emails for a price. These prices, like paid advertising, are on a sliding scale. They also have a “rating” system in place which I do not totally understand. You pay for the services when you “book” them. The Guest Status is totally useless! In lieu of the information already given in the “Support” section above, these interesting facts come from their Help section. There are only two articles in the knowledgebase and both are rated quite low. accounts in a six-week period. It is quite conceivable that some folks with the right mentality and experience can make this system work. It is not recommended for folks who hold the philosophy of paying it forward and insist on dealing in life with integrity and honesty. When I say “right mentality” I mean those who do not have any qualms of using seductive methods in their campaigns. This program uses it, it teaches it and resorts to services known for it. I hope you have found this review informative and having prevented you from disappointment and from wasting your time, money and resources by not joining the reviewed. As I have experienced, the philosophy to pay it forward, having a mentality for honesty and integrity, has a better pay-out in the long run. 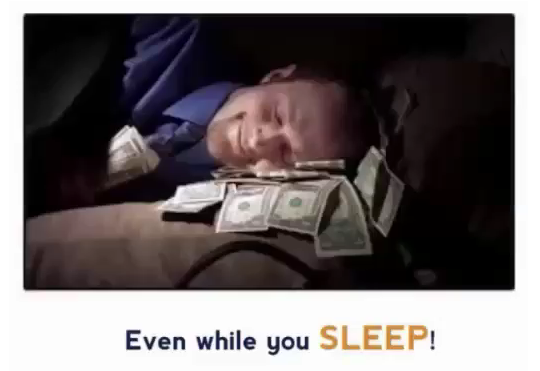 Whilst it is true that many an Internet guru can go to sleep at night after having taken thousands to the cleaners on a regular basis, and acquire wealth doing this, in the long run, these come to pass in time and some become quite infamous in name and reputation. I promote only those products and services that hold the above marks of distinction, to serve their fellow human beings not treat them as merchandise as fish is to the market, as fishermen using rogue baiting techniques. This holds true for platforms that teach affiliate marketing, the marketing preference of the product I’ve just reviewed. There are very bad ones out there, but there are also top quality ones as well. I am confident and convinced by years of membership with what I find is the absolute best possible alternative you will ever find, where you can learn Internet marketing using the affiliate method, learning the ethical ways of the practice and forming excellent habits in a community setting. 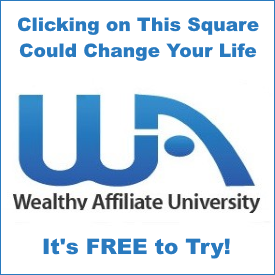 Affiliate Millionaire Club – I’d Stay Away from This One! My Affiliate Millionaire Club Review doesn’t Have to Go Far Beyond the Sales Video – Thinking of Joining? Beware! Learn how to spot bait on a hook! Very often, unscrupulous advertisers and marketers resort to a number of insidious techniques in their advertising campaigns. The video above is from the Affiliate Millionaire Club sales page. In this review, I will be going over that page and the video on it. It is loaded with stuff on it that snags the inexperienced and unwary. These are amongst a number of issues I found with this sales campaign and unfortunately, whether or not the product itself is of any value, to the initiated, the sales campaign does not speak very highly of it. Warn folks that this product is most likely less than they would expect it to be. Teach a little bit about what to look for in advertising like this to protect one’s self. Help you recognize common fallacies used in online advertising today. I will use the rest of this post to go down through, piece-by-piece, the entire content of this sales page, especially the video and what I’ve found in it. 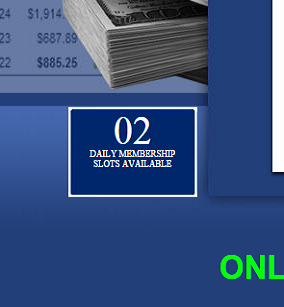 We are greeted with an elegant-looking title, directly under which is the sales video, a “Recent Customer” roster to the right and to the left, a down-counter indicating up to 10 available slots left for the day. Beneath these, at the bottom of the page is the e-mail address to contact the company, links for affiliates, terms and privacy, and just below this, a short statement of earnings potentials. When the video completes, a quite colorful and attractive call-to-action appears between the video and the footer (where the email address, etc are located. The background graphics are piles of $100 bank notes and imagery of affiliate statements (we will discuss these down the page.) all on a blue background. The overall appearance is “hypish” but not overwhelmingly so. It is designed to excite buying mood for sure! One is there to instill a sense of urgency and the other is mean to assure you – both emotional motivators! 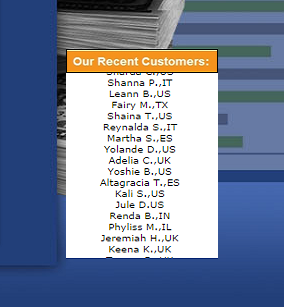 There is a list of alleged customers of the Affiliate Millionaire Club. This list doesn’t change and it repeats. It also lists the same (probably fictitious folks) several times down the list. It’s there most likely to assure you that there are a lot of customers that use this product. I would wager that this list is a fake. Okay, now on the fun stuff! The video begins with four testimonials. You would expect testimonials to be actual customers who purchased and are using the product. Of course, the folks we find on here are making moulah like they have never made in their lives! Unfortunately American and European consumers are so used to commercial television that many, if not most, can’t tell real from acting! If you’re one of these, it’s not your fault! The age of commercial advertising that actually tells you what a product is and what it does phased out in the 1940s, and it’s gotten worse over time! That’s right! Today, it’s all about how a certain product can help you keep your job, make you happier, get better relationships, yadda, yadda! This one’s not about the product – it’s about YOU getting rich overnight – or getting you to THINK so! The good old-fashion advertising still exists, but it’s not common, and when you do find it, it’s probably a highly-reputable product or service that doesn’t need to resort to such bogus advertising! Those folks are not real buyers…they’re all actors. Note that guy in the last of the testimonials. Here he is right here. Take a look. It will open in a new window so you can come right back here. He’s been hired to do the gig for a pittance of $5 through a freelance website called fiverr.com. The review you’ll see him in is for another lame product called, “EZ Cash Creator.” If this is a fiverr guy, you can wager that the others are too! I’ve seen him in other testimonials! The one thing you don’t want in testimonials are actors! Don’t let ’em fool you. These are all fakes! They make great clowns! They’re not real! You can get images of these things everywhere on the Internet. You can easily fabricate them on your favourite paint program! Even if they are real, you can bet your boots that they don’t belong to these “customers.” Quite often, I review products before they are launched, and what do I find on the sales page? The sales video – and sometimes different versions of videos which are evidently created for different scenarios. What do I find on these? Here are customers who have purported to buy the product being advertised, complete with images of daily & weekly snapshots from Clickbank and ClickSure – before the product has even launched! They come in all flavours. Here, we have potential buyers being told that they get unlimited hosting and domain names. This means you can put as many free domains on there as you would like! Yet, later on, they tell you the offer comes with up to ten websites! What happened to “unlimited?” It’s been slipped in there so this passes on to your subconscious mind and works to their advantage. So is true with the rest of the logical fallacies we find in sales media of this kind. One fallacy often used in advertising is ambiguity. This is like speaking with the forked tongue or being two-faced. Its use is very common! It’s when they tell you something to get you thinking one way, but their intent is altogether different. 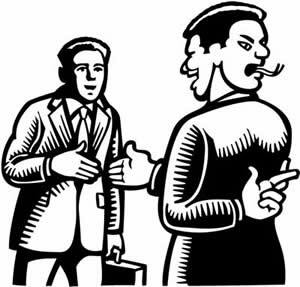 Their statements, questions and propositions come with double meaning so engineered that you, by human nature, will take it one way, yet they’re protected because it can be taken in the way it truthfully is. A prime example is the so-called restriction that you must be brand-new to affiliate marketing before you will be accepted into the club. They tell you this to make you think the product or membership is exclusive and thus, emotion kicks in – you don’t like the feeling of being left out! Now, this IS sometimes true in certain cases! Here it’s a flat-out lie! 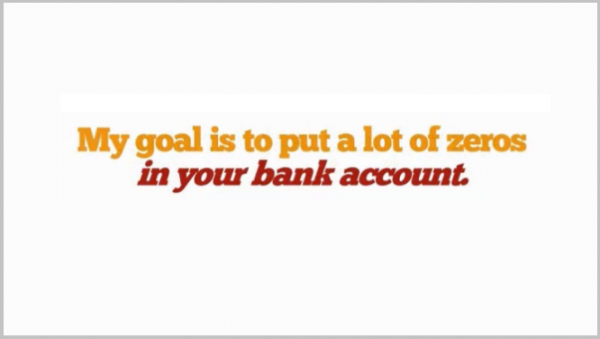 If you have the money in your bank account, you’re accepted! They don’t care who purchases, as long as the money flows … their way! Let’s get real about this! The only thing this guy cares about (if he’s even the actual owner by the way or just another actor playing his part) is himself and what he can get out of you! This video, and others like it, are filled to the brim with lies and contradictions of all kinds. This is why they remove the user controls so you can’t review back without listening to the whole thing again! This too, is another common tactic amongst unscrupulous marketeering. This video is LOADED with this! Here’s a line-up of imagery that grabs the average person and pulls them around the corner where they systematically get robbed! A classic Silver Bullet…a Big Red Easy Button. Yes, you push the button and THEY make all the money! Even if this thing does work, it certainly won’t be as easy as 1-2-3! If it were, every man and his brother would be after this – and it’s not the once-in-a-lifetime opportunity they have you believe it to be! You will NOT be making $1,200 bang! bang! bang! It’s just not going to happen. 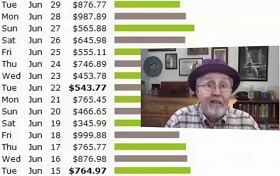 Do you REALLY think this guy got all of his wealth from this piece of software??? Hardly! Don’t let him fool you into thinking you will either! Guess where he REALLY makes his money! You guessed it…pulling the wool over people’s eyes with shady but effective advertising! The commentator “stumbled” into this “loophole” (which isn’t a loophole at all! It’s a piece of lousy software and regurgitated bits of information that you get with it that’s supposed to be training materials. 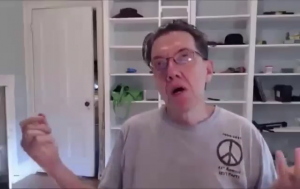 He wasn’t sure he was going to share this software and even though, he wasn’t sure what was he stumbled into, in other words, he drops the pricing down to “affordable” levels at the end of the video in spite of spending “years developing this thing!” Do you see the contradiction? Do you not wonder why the user controls for the video are not there??? They want you to see this thing once, fall for it, and with an appeal to emotion, BUY this crap! How’s this for assurance: He’s so sick and tired of all the other gurus STEALING from you and me, that he’s going to put this thing out there, and you’d better jump on it quick whilst it’s still there! You get this in practically all of these type of products! Look around this site to some of the others. You will find these elements in the other videos I captured and put on here! 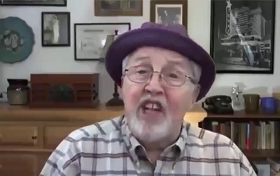 This guy wants you to THINK he’s doing a big favour for you and is altruistic. Don’t believe it for a moment! It’s why I put the video on here and am now discussing it. I want to show YOU what’s behind this crap and what you DON’T need! There are a number of references about students, and you becoming one, on this video. I have done a number of other reviews where this illusion is employed. Very likely, the only instruction you will get are a few onboard resources and a help desk if you have problems with the software – or want a refund! What are you being taught here? This guy can only handle ten “students” per day. This is all about a “done-for-you” product that, within a few days, slaps over $1,200 a day into your bank account! They’re going to want your bank account information so the product can automatically put your killings right into your bank account. The software’s set up to automatically do that for you! Do you really want this??? There’s no school, college or university here. There’s not even a seminar save perhaps, some e-books, videos and other media offered. Like many other products like this, you will find some, but I will clue you in that it won’t be much more than what you can learn for free already! You are no student and don’t let this chap put that rubbish in your mind. It’s a gimmick to make you feel good and assure you that you’re really getting something. The reason why they don’t want experienced people in here is NOT because they won’t follow simple instructions! Hogwash! Really, they don’t care WHO is willing to take the bait, whether they’re dumb enough as an experienced marketer or newbies that simply have no idea what they’re getting into. They want YOUR money! They want people who have no idea what they’re getting into so they can STEAL THEM BLIND! Remember how I was telling you about products with advertising that tells you what it is and how it works? If I were to take away all the BS that’s in that video above, there’d be NO substance left! The video might be five minutes long, if that! Success at affiliate marketing does not happen over night. There are no big red easy buttons about it. It’s got a learning curve and to be successful at it, you need to be trained. Click on the image below to go to my review on how you can empower yourself with real education and not base your future or hopes on some stupid piece of software. You’re better than that and you DESERVE better! Here’s my recommendation. You can give it a whirl without any cost to you. If it’s for you, go for it! If not, well, that’s okay too! Simple Cash Code Review – This is a RIP-OFF – Stay Away! Easy Money Machines Review – What’s In the Member’s Area?